Neodymium reduction magnet 32 mm. This disc magnet with bore and counterbore has a 32 mm outer diameter x 5.5 mm bore x an 11 mm countersink and x 7 mm height. 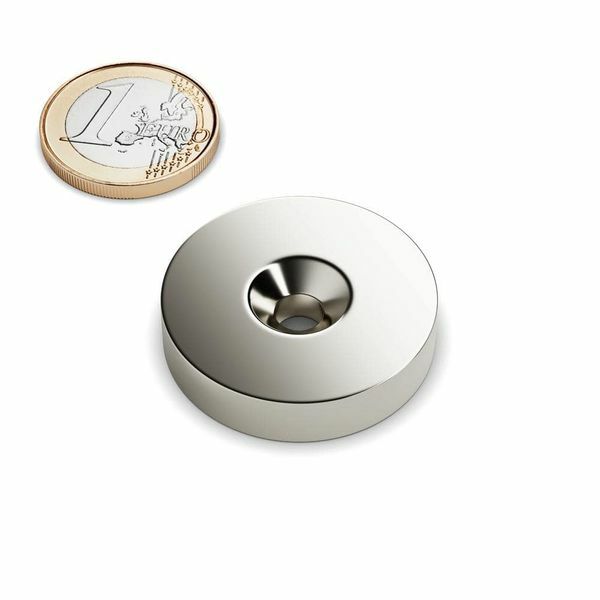 Ni-Cu-Ni A strong neodymium ring magnet D 32 mm with a recess for mounting on a wide range of surfaces. The advantage of these ring magnets is that they are lower than those with a metal pot, which have a very high pulling force on both sides. 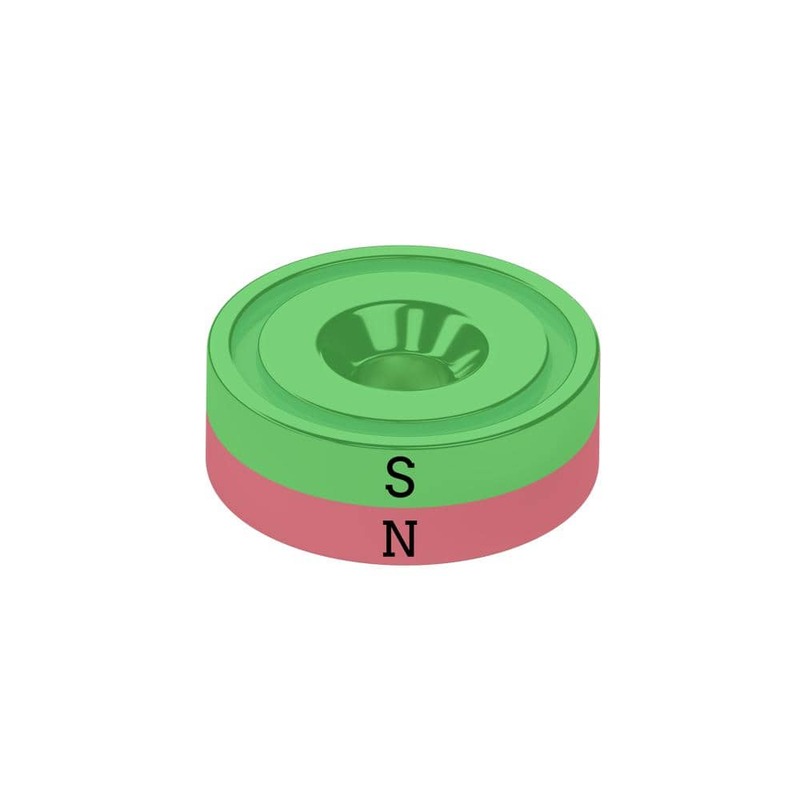 The reduction also causes screw heads to disappear and give you a smooth surface. This strong ring magnet with lowering is in demand at all - no matter whether hobbyists, hobbyists or the industry. Suitable for universal and quick mounting on wall, ceiling, door, etc.